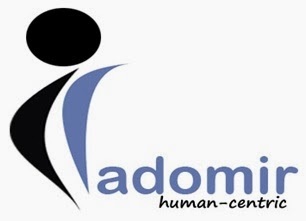 adomir Solutions offers personalized professional IT consulting and HR consulting across wide range of skill sets. Our expert HR consultants team has human resources consulting expertise to track, coordinate, screen and employ human resources according to your specific HR demands. Radomir bring in right combination of human resources expertise and HR experience to offer total solution for permanent staffing and Temporary staffing contract staffing, contract to hire staffing through recruitment process outsourcing. We go beyond one-dimensional approach to offer flexible HR consultancy services for our client’s human resources requirements. Radomir Solutions aims to be a dependable personalized professional IT consulting and HR consulting specialist with our service driven approach to the benefit of our clients, candidates and colleagues. Our vision is to redefine the future of organizations by aligning people and opportunities. Our mission is to provide excellent IT consulting and staffing solutions with highest level of customer satisfaction across various domains. Provide our clientele with solutions that address their business needs and exceed their expectations. To improve our clients’ business performance and to create long term win-win relationships. Present our colleagues and associates the opportunity to attain their dreams and enrich their lives. To be a “role model” for “vision-driven” companies everywhere.